Julian Polzin studied practical philosophy at the Westfälische Wilhems-Universität (Münster university). With the conclusion of his studies, he started to focus on his literature works. After a few years living as a novelist, he started his therapeutic education at the Paracelsus Institute in Münster. 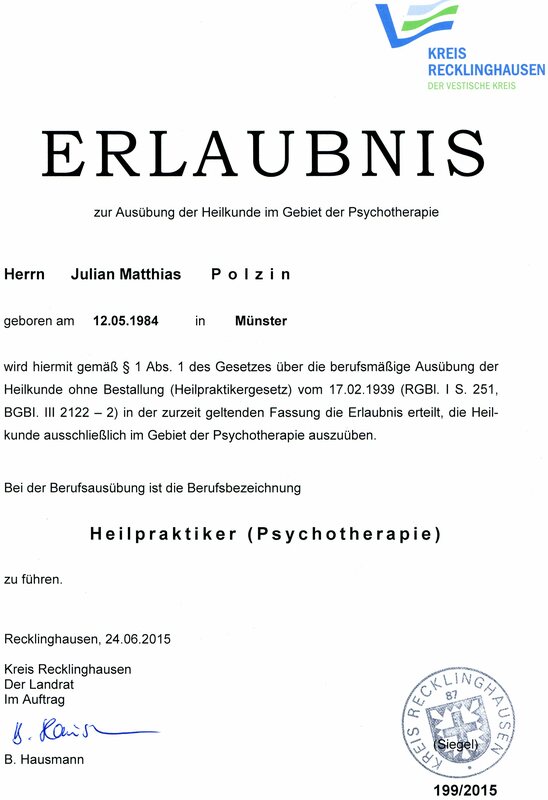 Then followed a successful exam in June of 2015, when he received his permission to heal in the field of psychotherapy by the public health office in Recklinghausen. Aside from that he studies, practices and teaches Zen-Buddhist methods.